An increasingly common feature in modern vehicles is reversing cameras. Beneficial in saving lives and preventing damage to your vehicle by providing motorists with a detailed field of view of the space behind their car. 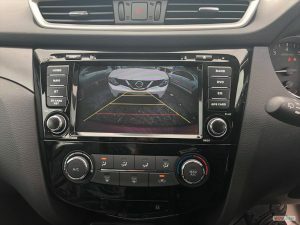 Taking advantage of advances in camera miniaturisation technology the team at PMA Auto Works can expertly upgrade your vehicle with a superior reverse camera installation. Thanks to our unmatched knowledge of the internal systems and wiring of all types of vehicles our technicians can flawlessly integrate the camera components into the electronics of your vehicle. 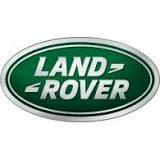 For more information about how we can upgrade your vehicle feel free to contact us today. By selecting the team at PMA Auto Works to complete car reverse camera installation in your vehicle Melbourne motorists and car owners can breathe easy knowing they are potentially saving money, preventing damage, and saving lives. By effectively removing your vehicle’s largest blind spot our experienced and passionate team of professionals can enhance your field of vision with an uninterrupted live feed of the space directly behind your car, ensuring that any obstacles that may appear behind your vehicle while reversing can be safely navigated around or avoided completely. Thanks to our insistence on using only the best materials and components you can rely on our reversing cameras to deliver the superior real-time vision of an otherwise obscured angle. Perfect for vehicles of all shapes and sizes PMA Auto Works range of reversing cameras ensure Ringwood motorists can gain peace of mind when reversing, no matter the distance of angle. Besides the noticeable benefit of potentially eliminating a hazardous blind spot reversing cameras have a number of other advantages including preventing twist damage and pain to your body from craning your neck to see behind you, helping your insurance premiums remain at a lower rate by avoiding minor collisions and increasing the resale value of your vehicle. To learn more about the benefits of reversing camera installation feel free to contact us today.